We have delivered the "Ise no Mimori" to the UtaSuki Music Post. You can enjoy karaoke at the BOX with JOYSOUND. It's a bright song-like song that's easy to sing, so please go out and sing at JOYSOUND's BOX. 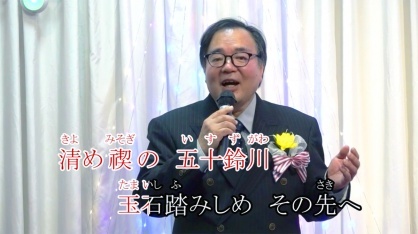 Singing videos are posted on SingerPro's B141 (Utaski Music Post Corner), so please take a look.